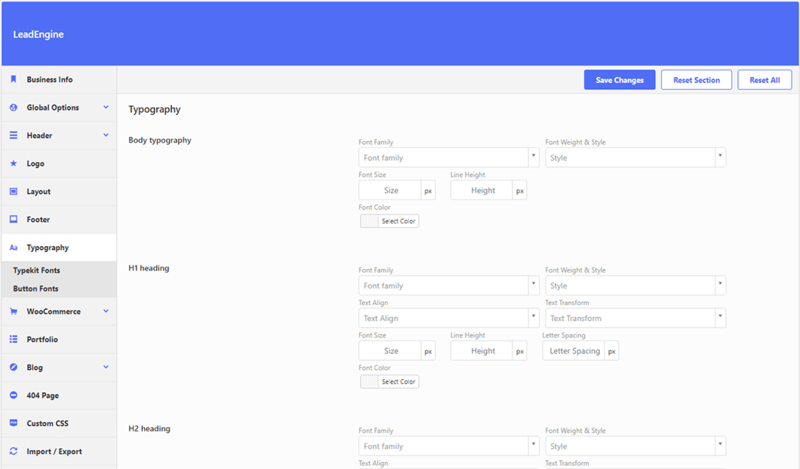 In this section you can customize the font properties for use across your website. You can choose from over 800 Google fonts and they are all open-source and 100% free for commercial use. Body typography – configure the global body font typography. H1, H2, H3, H4, H5, H6 heading – configure the global heading font typography.